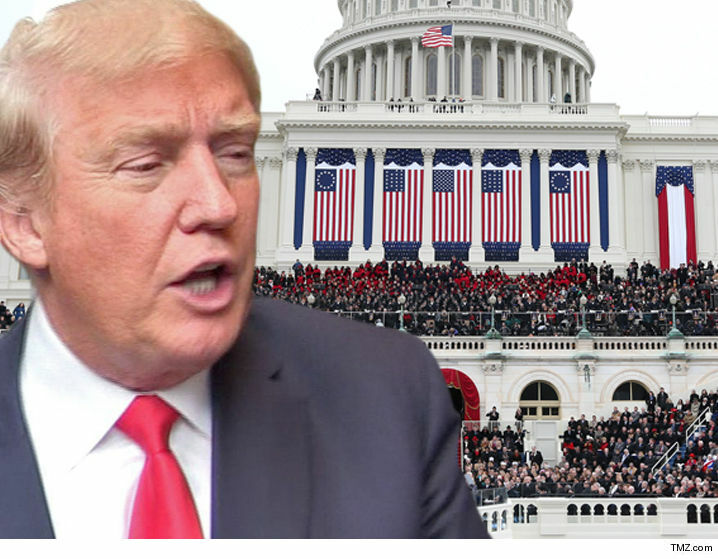 There’s a secret scare in the music world over Donald Trump‘s inauguration … some singers and bands want to perform but they’re getting cold feet because they’re worried it will hurt their career. Sources in the music industry connected with people who have been “on the list” tell us … some of the singers and groups have floated rumors they might perform to judge the public reaction … which by and large has scared them into running for the hills instead of towards the Hill. We’re told trial balloons were floated by at least 4 camps … we’re told everyone’s so scared of the backlash the camps will never admit they’ve even entertained the prospect of singing at the inauguration … they’re all so worried it will negatively impact the artists’ careers. It’s a sea change from every other inauguration. Up to now it didn’t matter if it was a Dem or a Republican … there were enough big stars willing to perform it wasn’t a problem. As we’ve reported, Trump is not obsessing over big names at the inauguration or the various balls. He just wants “traditional” events.